The new In-Sight 4000 Series. 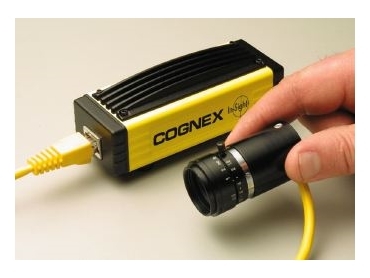 COGNEX Corporation has added three models to its family of In-Sight vision sensors. 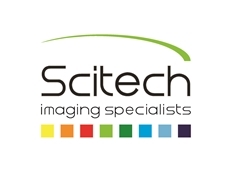 Available from Scitech , the new In-Sight 4000 Series vision sensors offer speed improvements of up to 5x over previous In-Sight models. Additionally, each sensor features dual processors to enable simultaneous, dedicated vision processing and network communications. 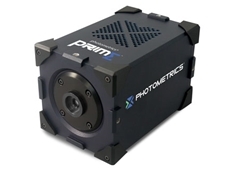 · In-Sight 4000 - an ultra-high performance vision sensor offering fast frame rates and accelerated vision tool performance. · In-Sight 4001 - a high resolution (1024 x 768) version of the In-Sight 4000 for applications that require increased resolution for inspecting small objects, or capturing images of larger parts. · In-Sight 4100 - a compact, remote head camera (1.25" L x 1.25" D) version of the In-Sight 4000. Ideal for applications where a small and/or lightweight camera head is required, or for harsh industrial environments where protection from dust and wash down is necessary. "The In-Sight 4000 Series is significant for a number of reasons," Cognex marketing vice president Justin Testa said. "First, by offering accelerated performance, it will broaden the range of high-speed applications that can be solved with a low-cost product. “Secondly, its dual-processing architecture provides maximum vision performance, even in network-intensive applications such as remote process monitoring. “Finally, the new 4000 Series expands our ever-growing vision sensor family to nine models, with sensors to handle everything from color inspection to high-accuracy gauging to automatic ID. “This makes In-Sight the most comprehensive line of vision sensors currently available." Like other In-Sight vision sensors, each In-Sight 4000 Series sensor is equipped with built-in Ethernet communications, a full library of proven Cognex vision tools for locating, inspecting, measuring, and identifying parts, and a spreadsheet interface for fast, easy application set up. 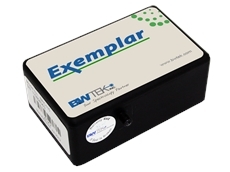 The sensors can be easily integrated with PC-based factory automation devices via Ethernet communications, and with PLCs on the factory floor via EtherNet/IP, DeviceNet, ModBus, and ProfiBus communications.